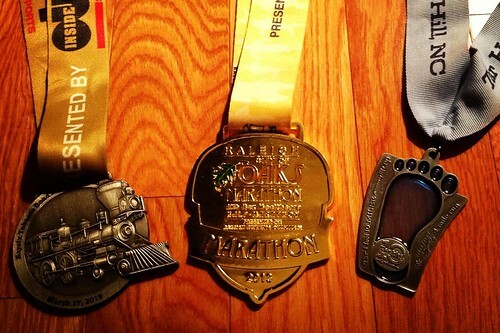 I will always remember 2013 as the year I became a “runner”. Just a year ago the longest distance I had ever run was 5 miles and that was a challenge. Back then the thought of running a full marathon seemed inconceivable to me. Somewhere along the way I was bitten by the run bug and got serious about my training. While I enjoying running solo, I also had a wonderful time this year running with social run clubs like the Big Boss Run Club and River Run Club. 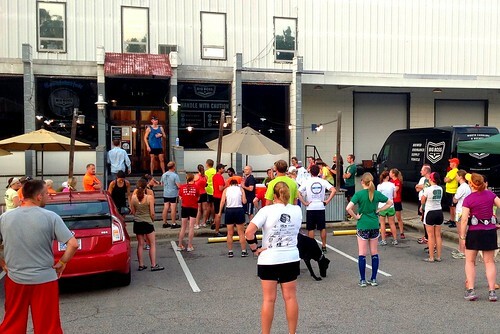 Both are excellent free weekly social run clubs that welcome runners of all levels. I learned so much from running with these groups. It was nice preparing for races with others who were going through the same process and getting advice from more seasoned runners along the way. Tobacco Road was my first “real race”. 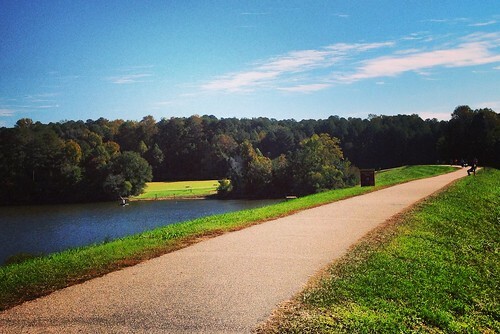 The course was nice and flat with crushed gravel the majority of the way along the Tobacco Road Greenway. My training program capped out at 10 miles and it took everything I had just to finish and I was starting to fade at the end of the race. Afterwards I knew that if I was ever going to run a full marathon I would have to train smarter. I ran my fastest of all three races in the 10-miler. Not so much because it was the shortest distance of the three, but because I didn’t have a GPS watch yet and ran with a 8:30 min/mile pace group that actually ended up running a faster 8:00 min/mile. I knew it felt fast but I hung with the group and finished with a much better time than I expected. The hills were tough but running through downtown Chapel Hill was beautiful. As my first ever full marathon, the City of Oaks was by far my most challenging race. I took my training seriously and followed a six month training program I cobbled together after researching several popular beginner marathon programs online. I went into the race injury free and excited to take on the challenge. The day of the race was beautiful and I will always remember the sense of accomplishment I felt when I crossed the finish line. While I had trained hard, ultimately I found I was slightly unprepared for the numerous hills along the marathon course – don’t ever let anybody tell you Raleigh is not hilly! After feeling good for the first 3 hours of the race I hit “the wall” around mile 21. I needed to take a few walking breaks by mile 23 but was able to punch through and finish strong with a time I am very proud of. Looking back, I learned several valuable lessons about training and nutrition from the experience of preparing and running in my first marathon. With the benefit this experience I have a new perspective and look forward to coming back even stronger in 2014 with the goal of finishing the marathon in under 4 hours. 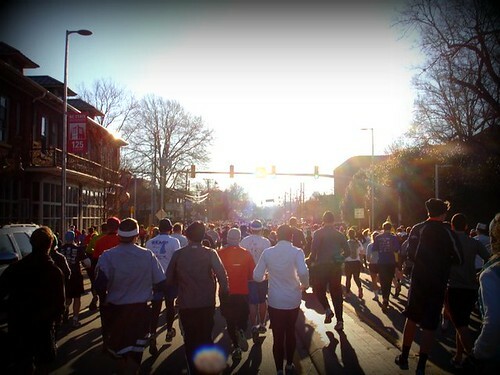 I took it relatively easy during the months of November and December following the City of Oaks Marathon, but now I am looking ahead to the Rock ‘n’ Roll half marathon in Raleigh on April 13, 2014. There is a full marathon option too, but I plan on running 2-3 halfs in 2014 followed by a return to the City of Oaks full marathon in the fall of 2014. By the way, if your new year’s resolutions include plans for signing up for the Rock ‘n’ Roll Raleigh race you can save $10 off registration by using the discount code “TRIEXPLORERAL10”. This code will work as long as you register before April 6, 2014 and is good for both the full and half marathon. 4. Return to the City of Oaks Marathon and finish in under 4 hours. As I turn the page on my 2013 running experience and look forward to 2014 I’d like to give a special thanks to Jon Odgers of the Big Boss Run Club for the many helpful training tips he shared over the year. If you are a runner and enjoy craft beer I highly recommend following his blog and posts on twitter at @beerandracing. 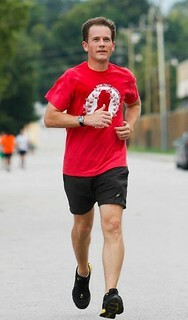 I would also like to thank the great people at the River Run Club in North Raleigh @riverrunclub. They are a fantastic group of fun people to run with. I look forward to many runs with both groups in the new year. Happy running in 2014! Congrats on all of your accomplishments! What a great running year for your books. Cannot wait to see what 2014 holds! Thanks Katie! Looking forward to achieving the 2014 Goals. Hope you are having a great New Year!